Manufactured under Federal's American Eagle brand, this product is brand new, brass-cased, boxer-primed, non-corrosive, and reloadable. It is a staple range and target practice ammunition. 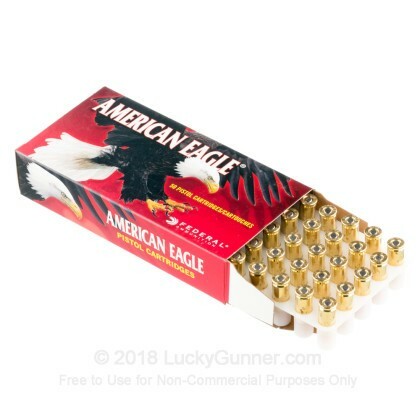 This is top of the line, American-made range ammo made by ATK (same company that makes Speer Lawman, CCI, Blazer Brass, etc) - it doesn't get any better. 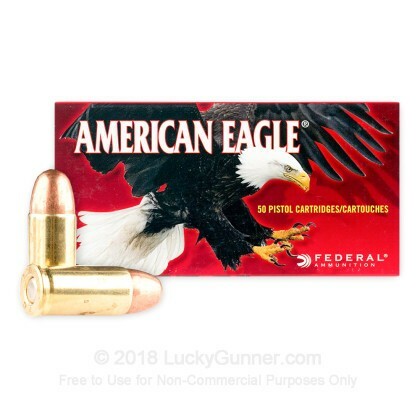 We don't have any reviews yet for this particular .32 Auto (ACP) ammo from Federal. 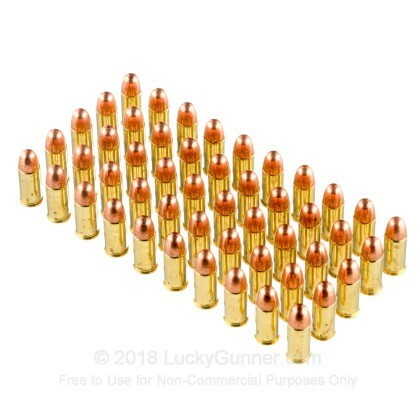 If you'd like to be the first to review this particular .32 Auto (ACP) ammo from Federal, fill out the form below. 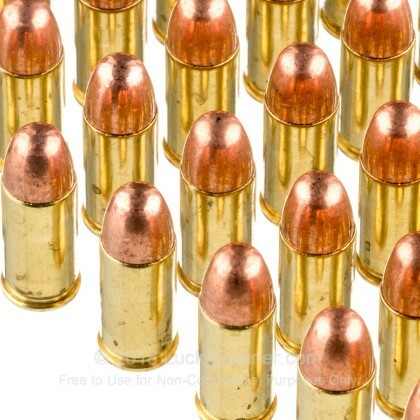 Q: do you have .32 ACP ammo that can be used instead off 7.65mm ammo? I received your Magtech .32ACP hollow point but also would like fmj ammo. A: Yes! 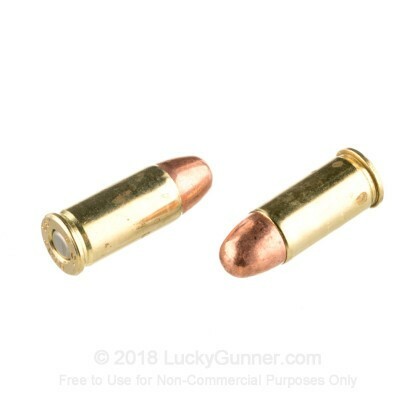 The name of this cartridge, 32 ACP and 7.65mm Browning are interchangeable with each other. The main difference depends on the manufacturer of the round and the name they have traditionally gone with. They essentially mean the same thing. Our selection of 32 ACP pistol ammunition will be listed under "32 ammo". 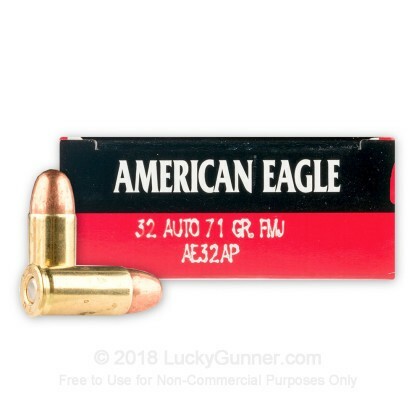 We also have this 32 ACP - 71 Grain FMJ - Federal American Eagle - 1000 Rounds ammo in stock in a bigger quantity.